Looking for a tax lawyer near Alexandria VA? If are feeling overwhelmed by IRS and state tax issues, an experienced tax lawyer can help. We represent clients from throughout Northern Virginia and the country in a wide variety of tax cases and work diligently to minimize the financial hardships related to tax audits, collections, and litigation. We are conveniently located just 35 minutes west of downtown Alexandria, near the I-66 and Fairfax County Parkway interchange. When the IRS conducts an audit, it investigates your financial information and then makes a determination as to whether you paid sufficient taxes. If you have received an audit notice, you should contact a tax lawyer near Alexandria VA as soon as possible. An IRS tax audit can become time-intensive and overwhelming very quickly. Moreover, making even one mistake can have long-reaching, serious consequences. At the Sodowsky Law Firm, we can help you understand why the IRS is auditing you, as well as guide you through the investigation process. A tax lawyer can also handle most of the audit-related tasks for you, thereby freeing up your time and allowing you to have peace of mind. Tax Levies: The IRS seizes your property and assets to recover unpaid taxes. Tax Liens: The IRS files a legal claim against all your property (including property acquired after the lien is filed). However, you may be eligible for tax relief. A tax lawyer near Alexandria VA can help you avoid as well as resolve levies and liens through negotiation, appeals, and other procedures. We can also help you reduce and restructure your tax debt. Tax Court: This is the most common court for tax issues. Tax court judges specialize in tax law and use this extensive knowledge to resolve disputes. Unlike the other forums (or court options), you do not have to pay your unpaid and disputed tax bill before requesting a Tax Court hearing. District Court: U.S. District Court judges review a wide variety of legal issues (including tax disputes). You can petition the U.S. district court for a refund if you have exhausted your administrative remedies and paid your assessed taxes. Unlike the other tax-related courts, you can request a jury trial in district court. Bankruptcy Court: Federal bankruptcy courts can determine the validity of IRS tax bills and liens. Additionally, bankruptcy courts can discharge (or eliminate) certain unpaid taxes. Court of Federal Claims: Based in Washington, D.C., the Court of Federal Claims handles a large volume of tax disputes (especially for corporations and companies). If you have paid your assessed taxes, you can petition the court for a refund. There sometimes are strategic benefits to filing with the Court of Federal Claims. While forum selection is an important step in tax litigation,, litigation also requires the presentation of evidence, negotiation, and extensive legal knowledge. A tax lawyer can help you craft a comprehensive litigation strategy that meets your needs and goals. 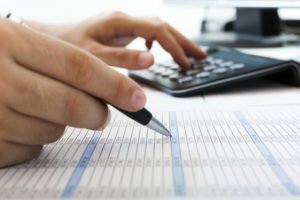 If you have tax issues related to your business or employees, a tax lawyer near Alexandria VA can help protect your company’s financial reputation and well-being. In addition to helping you with federal tax issues, we can assist you with your state tax issues. Compared to the IRS, the Commonwealth of Virginia’s Department of Taxation is less formal. However, they aggressively collect unpaid taxes. We use our extensive tax and business experience to build creative solutions for your state and local tax problems. An experienced tax lawyer near Alexandria VA can help you avoid tax liens, levies, and other penalties. Elden Sodowsky has over forty years of experience handling complex tax and business issues. At the Sodowsky Law Firm, we provide our clients with the personalized attention and counsel they deserve. Contact us today to schedule a consultation.